Photo courtesy of Public Relations. I hadn’t a clue what was going on at our sister school seven miles away, and so turned the question back to them. “We’re getting pages from them-they’re trapped,” they replied. “Somebody’s shooting at everybody.” I suspected a prank. This class was not above manufacturing a reason to avoid reading comprehension. I tuned in to a local AM news station, and we spent the period listening to reporters explain that they did not know what was going on at Columbine, either – only that SWAT teams had been called, police were on the scene and some students were reporting shooting. By the time I arrived home in Littleton, the story was on FM radio and national television. Phone lines in Littleton malfunctioned under the weight of people calling to see if their loved ones were all right. They weren’t. Bomb threats evacuated us regularly for a month. We became afraid to go to school. Teachers’ periods for grading and lesson-planning were replaced by guard duty. We spent cold hours before glass doors not knowing what we would do if confronted with a semiautomatic weapon. We wrote wills and letters to loved ones instead of quizzes. We repeated stories of students who had been shot for answering that they were-or were not-Christian. Then, it got worse. Having identified the Columbine shooters by their long dark coats and hatred of “jocks” and dark artistic tendencies, first our administration pulled from my classes those students who habitually wore black coats. Then they came for the art students, then for the Goths. Next were students who used the Internet, followed by depressed students, attention-disordered students and any others who took regular medications. That administration responded the only way their urgent interpretation of events allowed. But how did they not see that the only right response to this crisis was love? Why further alienate kids distressed enough to use violence? Such views were silenced by arguments for safety. All I could do was express sympathy to the angry, no-longer-black-coated kids who crept back into my classroom after being interviewed by police, sometimes for days. Could I stay and watch this? Could I leave these kids defenseless? The same week my students began disappearing from my classes, I was admitted to the master’s program at the University of Colorado, which led to a scholarship for doctorate work at the University of Notre Dame. This ultimately led me to Goshen College, where I have learned a new vocabulary for peace, justice, compassion, responsibility and choices. I thank God every day for these blessings, but I will always wonder whether walking away from injustice was the right choice. 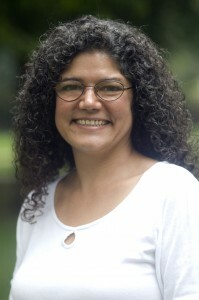 Julianne Bruneau is an English professor at Goshen College.